On July 26, 1956, Egypt’s President Gamal Abdel Nasser stunned the world by announcing the nationalization of the Suez Canal, a critical conduit through Egypt for the transportation of oil between the Mediterranean Sea and the Indian Ocean. Constructed between 1859 and 1869, the canal was owned by the Anglo-French Suez Canal Company. What followed three months later was the Suez Crisis of 1956: on October 29, Israeli brigades invaded Egypt across its Sinai Peninsula, advancing to within ten miles of the canal. Britain and France, following a scheme concocted with Israel to retake the canal and oust Nasser, demanded that both Israeli and Egyptian troops withdraw from the occupied territory. Then, on November 5th, British and French forces invaded Egypt and occupied most of the Canal Zone, the territory along the canal. The United States famously opposed the joint operation and, through the United Nations, forced Britain and France out of Egypt. Nearly simultaneously, the Soviet Union ruthlessly suppressed an uprising in Hungary. The autumn of 1956 was thus a tumultuous time. Across the globe, it was a time when colonies were clamoring for and achieving independence from former colonizers, and the United States and the Soviet Union were competing for the allegiance of emerging states in what was coming to be known as the Third World. In the volatile and complex Middle East, it was a time of rising nationalism. Nasser, a wildly ambitious general who came to power after a 1952 military coup had deposed the King of Egypt, aspired to become not simply the leader of his country but also of the Arab speaking world, even the entire Muslim world. By 1956, Nasser had emerged as the region’s most visible nationalist. But he was far from the only voice in the Middle East seeking to speak for Middle East nationalism. Syria, Jordan, Lebanon and Iraq were also imbued with the rising spirit of nationalism and saw Nasser as a rival, not a fraternal comrade-in-arms. Michael Doran’s Ike’s Gamble: America’s Rise to Dominance in the Middle East provides background and context for the United States’ decision not to support Britain, France and Israel during the 1956 Suez crisis. As his title suggests, Doran places America’s President, war hero and father figure Dwight D. Eisenhower, known affectionately as Ike, at the middle of the complicated Middle East web (although Nasser probably merited a place in Doran’s title: “Ike’s Gamble on Nasser” would have better captured the spirit of the narrative). Behind the perpetual smile, Eisenhower was a cold-blooded realist who was “unshakably convinced” (p.214) that the best way to advance American interests in the Middle East and hold Soviet ambitions in check was for the United States to play the role of an “honest broker” in the region, sympathetic to the region’s nationalist aspirations and not too closely aligned with its traditional allies Britain and France, or with the young state of Israel. But Doran, a senior fellow at the Hudson Institute and former high level official at the National Security Council and Department of Defense in the administration of George W. Bush, goes on to argue that Eisenhower’s vision of the honest broker – and his “bet” on Nasser – were undermined by the United States’ failure to recognize the “deepest drivers of the Arab and Muslim states, namely their rivalries with each other for power and authority” (p.105). Less than two years after taking Nasser’s side in the 1956 Suez Crisis, Eisenhower seemed to reverse himself. By mid-1958, Doran reveals, Eisenhower had come to regret his bet on Nasser and his refusal to back Britain, France and Israel during the crisis. Eisenhower kept this view largely to himself, however, distorting the historical picture of his Middle East policies. Although Doran considers Eisenhower “one of the most sophisticated and experienced practitioners of international politics ever to reside in the White House,” the story of his relationship with Nasser is at bottom a lesson in the “dangers of calibrating the distinction between ally and enemy incorrectly” (p.13). Or, as he puts it elsewhere, Eisenhower’s “bet” on Nasser’s regime is a “tale of Frankenstein’s monster, with the United States as the mad scientist and the new regime as his uncontrollable creation” (p.10). The “honest broker” approach to the Middle East dominated the Eisenhower administration from its earliest days in 1953. Eisenhower, his Secretary of State John Foster Dulles, and most of their key advisors shared a common picture of the volatile region. Trying to wind down a war in Korea they had inherited from the Truman Administration, they considered the Middle East the next and most critical region of confrontation in the global Cold War between the Soviet Union and the United States. As they saw it, in the Middle East the United States found itself caught between Arabs and other “indigenous” nationalities on one side, and the British, French, and Israelis on the other. “Each side had hold of one arm of the United States, which they were pulling like a tug rope. The picture was so obvious to almost everyone in the Eisenhower administration that it was understood as an objective description of reality” (p.44). It is impossible, Doran writes, to exaggerate the “impact that the image of America as an honest broker had on Eisenhower’s thought . . . The notion that the top priority of the United States was to co-opt Arab nationalists by helping them extract concessions – within limits – from Britain and Israel was not open to debate. It was a view that shaped all other policy proposals” (p.10). Alongside Ike’s “bet” on Nasser, the book’s second major theme is the deterioration of the famous “special relationship” between Britain and the United States during Eisenhower’s first term, due in large measure to differences over Egypt, the Suez Canal, and Nasser (and, to quibble further with the book’s title, “Britain’s Fall from Power in the Middle East” in my view would have captured the spirit of the narrative better than “America’s Rise to Dominance in the Middle East”). The Eisenhower administration viewed Britain’s once mighty empire as a relic of the past, out of place in the post World War II order. It viewed Britain’s leader, Prime Minister Winston Churchill, in much the same way. Eisenhower entered his presidency convinced that it was time for Churchill, then approaching age 80, to exit the world stage and for Britain to relinquish control of its remaining colonial possessions – in Egypt, its military base and sizeable military presence along the Suez Canal. Anthony Eden replaced Churchill as prime minister in 1955. A leading anti-appeasement ally of Churchill in the 1930s, by the 1950s Eden shared Eisenhower’s view that Churchill had become a “wondrous relic” who was “stubbornly clinging to outmoded ideas” (p.20) about Britain’s empire and its place in the world. Although interested in aligning Britain’s policies with the realities of the post World War II era, Eden led the British assault on Suez in 1956. With “his career destroyed” (p.202), Eden was forced to resign early in 1957. If the United States today also has a “special relationship” with Israel, that relationship had yet to emerge during the first Eisenhower term. Israel’s circumstances were of course entirely different from those of Britain and France, a young country surrounded by Arab-speaking states implacably hostile to its very existence. President Truman had formally recognized Israel less than a decade earlier, in 1948. But substantial segments of America’s foreign policy establishment in the 1950s continued to believe that such recognition had been in error. 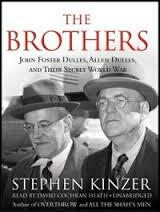 Not least among them was John Foster Dulles, Eisenhower’s Secretary of State. There seemed to be more than a whiff of anti-Semitism in Dulles’ antagonism toward Israel. 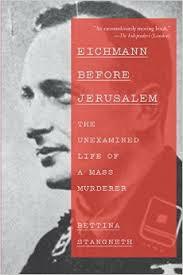 Describing Israel as the “darling of Jewry throughout the world” (p.98), Dulles decried the “potency of international Jewry” (p.98) and warned that the United States should not be seen as a “backer of expansionist Zionism” (p.77). For the first two years of the Eisenhower administration, Dulles followed a policy designed to “’deflate the Jews’ . . . by refusing to sell arms to Israel, rebuffing Israeli requests for security guarantees, and diminishing the level of financial assistance to the Jewish state” (p.99). Dulles’ views were far from idiosyncratic. Israel “stirred up deep hostility among the Arabs” and many of America’s foreign policy elites in the 1950s ”saw Israel as a liability” (p.9). Without success, the United States sought Nasser’s agreement to an Arab-Israeli accord which would have required limited territorial concessions from Israel. Behind the scenes, however, the United States brokered a 1954 Anglo-Egyptian agreement, by which Britain would withdraw from its military base in the Canal Zone over an 18-month period, with Egypt agreeing that Britain could return to its base in the event of a major war. Doran terms this Eisenhower’s “first bet” on Nasser. Ike “wagered that the evacuation of the British from Egypt would sate Nasser’s nationalist appetite. The Egyptian leader, having learned that the United States was willing and able to act as a strategic partner, would now keep Egypt solidly within the Western security system. It would not take long before Eisenhower would come to realize that Nasser’s appetite only increased with eating” (p.67-68). As the United States courted Nasser as a voice of Arab nationalism and a bulwark against Soviet expansion into the region, it also encouraged other Arab voices. In what the United States imprecisely termed the “Northern Tier,” it supported security pacts between Turkey and Iraq and made overtures to Egypt’s neighbors Syria and Jordan. Nasser adamantly opposed these measures, considering them a means of constraining his own regional aspirations and preserving Western influence through the back door. The “fatal intellectual flaw” of the United States’ honest broker strategy, Doran argues, was that it “imagined the Arabs and Muslims as a unified bloc. It paid no attention whatsoever to all of the bitter rivalries in the Middle East that had no connection to the British and Israeli millstones. Consequently, Nasser’s disputes with his rivals simply did not register in Washington as factors of strategic significance” (p.78). In September 1955, Nasser shocked the United States by concluding an agreement to buy arms from the Soviet Union, through Czechoslovakia, one of several indications that he was at best playing the West against the Soviet Union, at worst tilting toward the Soviet side. Another came in May 1956, when Egypt formally recognized Communist China. In July 1956, partially in reaction to Nasser’s pro-Soviet dalliances, Dulles informed the Egyptian leader that the United States was pulling out of a project to provide funding for a dam across the Nile River at Aswan, Nasser’s “flagship development project . . . [which was] expected to bring under cultivation hundreds of thousands of acres of arid land and to generate millions of watts of electricity” (p.167). Days later, Nasser countered by announcing the nationalization of the Suez Canal, predicting that the tolls collected from ships passing through the canal would pay for the dam’s construction within five years. Doran characterizes Nasser’s decision to nationalize the canal as the “single greatest move of his career.” It is impossible to exaggerate, he contends, the “power of the emotions that the canal takeover stirred in ordinary Egyptians. If Europeans claimed that the company was a private concern, Egyptians saw it as an instrument of imperial exploitation – ‘a state within a state’. . . [that was] plundering a national asset for the benefit of France and Britain” (p.171). issue an ultimatum demanding that the belligerents withdraw to a position of ten miles on either side of the canal, or face severe consequences. 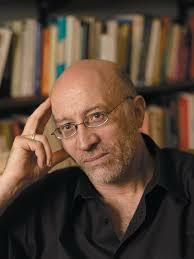 The Israelis, by prior arrangement, would comply. Nasser, however, would inevitably reject the ultimatum, because it would leave Israeli forces inside Egypt while simultaneously compelling Egyptian forces to withdraw from their own sovereign territory. An Anglo-French force would then intervene to punish Egypt for noncompliance. It would take over the canal and, in the process, topple Nasser (p.189). The crisis unfolded more or less according to this script when Israeli brigades invaded Egypt on October 29th and Britain and France launched their joint invasion on November 5th. Nasser sunk ships in the canal and blocked oil tankers headed through the canal to Europe. Convinced that acquiescence in the invasion would drive the entire Arab world to the Soviet side in the global Cold War, the United States issued measured warnings to Britain and France to give up their campaign and withdraw from Egyptian soil. If Nasser was by then a disappointment to the United States, Doran writes, the “smart money was still on an alliance with moderate nationalism, not with dying empires” (p.178). But when Eden telephoned the White House on November 7, 1956, largely to protest the United States’ refusal to sell oil to Britain, Ike went further. 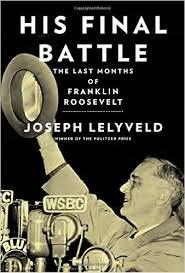 In that phone call, Eisenhower as honest broker “decided that Nasser must win the war, and that he must be seen to win” (p.249). 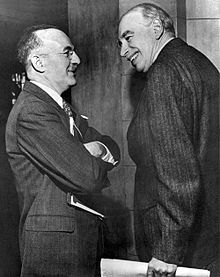 Eisenhower’s hardening toward his traditional allies a week into the crisis, Doran contends, constituted his “most fateful decision of the Suez Crisis: to stand against the British, French, and Israelis in [a] manner that was relentless, ruthless, and uncompromising . . . [Eisenhower] demanded, with single-minded purpose, the total and unconditional British, French, and Israeli evacuation from Egypt. These steps, not the original decision to oppose the war, were the key factors that gave Nasser the triumph of his life” (p.248-49). When the financial markets caught wind of the blocked oil supplies, the value of the British pound plummeted and a run on sterling reserves ensued. 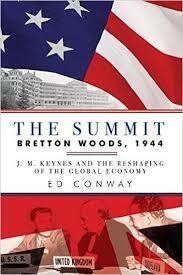 “With his currency in free fall, Eden became ever more vulnerable to pressure from Eisenhower. 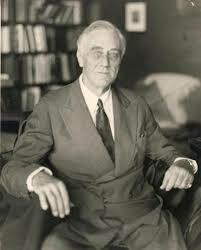 Stabilizing the markets required the cooperation of the United States, which the Americans refused to give until the British accepted a complete, immediate, and unconditional withdrawal from Egypt” (p.196). At almost the same time, Soviet tanks poured into Budapest to suppress a burgeoning Hungarian pro-democracy movement. 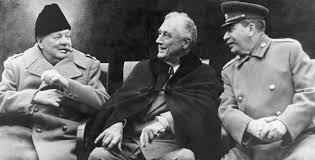 The crisis in Eastern Europe had the effect of “intensifying Eisenhower’s and Dulles’s frustration with the British and the French. As they saw it, Soviet repression in Hungary offered the West a prime opportunity to capture the moral high ground in international politics – an opportunity that the gunboat diplomacy in Egypt was destroying” (p.197). The United States supported a United Nations General Assembly resolution calling for an immediate ceasefire and withdrawal of invading troops. Britain, France and Israel had little choice bu to accept these terms in December 1956. In the aftermath of the Suez Crisis, the emboldened Nasser continued his quest to become the region’s dominant leader. In February 1958, he engineered the formation of the United Arab Republic, a political union between Egypt and Syria that he envisioned as the first step toward a broader pan-Arab state (in fact, the union lasted only until 1961). 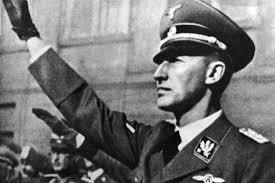 He orchestrated a coup in Iraq in July 1958. Later that month, Eisenhower sent American troops into Lebanon to avert an Egyptian-led uprising against the pro-western government of Christian president Camille Chamoun. Sometime in the period between the Suez Crisis of 1956 and the intervention in Lebanon in 1958, Doran argues, Eisenhower withdrew his bet on Nasser, coming to the view that his support of Egypt during the 1956 Suez crisis had been a mistake. 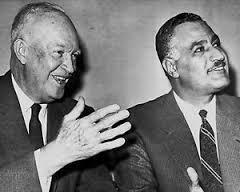 The Eisenhower of 1958 “consistently and clearly argued against embracing Nasser” (p.231). He now viewed Nasser as a hardline opponent of any reconciliation between Arabs and Israel, squarely in the Soviet camp. Eisenhower, a “true realist with no ideological ax to grind,” came to recognize that his Suez policy of “sidelining the Israelis and the Europeans simply did not produce the promised results. The policy was . . . a blunder” (p.255). Unfortunately, Doran argues, Eisenhower kept his views to himself until well into the 1960s and few historians picked up on his change of mind. This allowed those who sought to distance United States policy from Israel to cite Eisenhower’s stance in the 1956 Suez Crisis, without taking account of Eisenhower’s later reconsideration of that stance. Doran relies upon an extensive mining of diplomatic archival sources, especially those of the United States and Great Britain, to piece together this intricate depiction of the Eisenhower-Nasser relationship and the 1956 Suez Crisis. These sources allow Doran to emphasize the interactions of the key actors in the Middle East throughout the 1950s, including personal animosities and rivalries, and intra-governmental turf wars. He writes in a straightforward, unembellished style. Helpful subheadings within each chapter make his detailed and sometimes dense narrative easier to follow. His work will appeal to anyone who has worked in an Embassy overseas, to Middle East and foreign policy wonks, and to general readers with an interest in the 1950s. Sub-Saharan Africa today is awash in the critical natural resources that fuel what we term the modern way of life. It is the repository of 15% of the planet’s crude oil reserves, 40% of its gold, and 80% of its platinum, along with the world’s richest diamond mines and significant deposits of uranium, copper, iron ore, and bauxite, the ore that is refined to make aluminum. Yet, the immense wealth that these resources produce is all too often siphoned off at the top of African states, with little positive effect for everyday citizens of those states. The more the country is rich in natural resources, the poorer are its people, or so it seems. This is what Tom Burgis, an investigative journalist for the Financial Times, terms the “resource curse” in his passionately argued indictment of Africa’s ruling elites and their cohorts, The Looting Machine: Warlords, Oligarchs, Corporations, Smugglers, and the Theft of Africa’s Wealth. The resource curse enables rulers of resource dependent states to “govern without recourse to popular consent,” Burgis contends. “Instead of calling their rulers to account, the citizens of resource states are reduced to angling for a share of the loot. This creates an ideal fiscal system for supporting autocrats” (p.73-74). Resource dependent states are thus “hard-wired for corruption. Kleptocracy, or government by thieves, thrives” (p.5). The resource curse is not unique to Africa, Burgis emphasizes, but it is “at its most virulent on the continent that is at once the world’s poorest and, arguably, its richest” (p.5). Once dominated by colonial European powers and subsequently by Cold War superpowers, sub-Saharan Africa today is subject to what Burgis terms a “new form of dominion . . . controlled not by nations but by alliances of unaccountable African rulers governing through shadow states, middlemen who connect them to the global resource economy, and multinational companies from the West and the East that cloak their corruption in corporate secrecy” (p.244). The resource curse gives rise to what Burgis terms “looting machines.” In a series of case studies, he demonstrates looting machines in action in several African states. He devotes most attention to Angola, Nigeria and the Democratic Republic of Congo, but also provides examples of the siphoning of state resources in numerous other African states, including Botswana, Ghana, Guinea, Madagascar, Niger, Sierra Leone, South Africa, and Zimbabwe. Burgis’ case studies delve deeply into the highly complex and often-opaque transactions typical of looting machines across the continent. 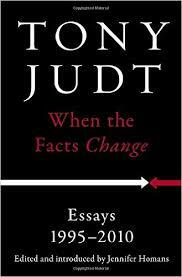 Some readers may find these portions of his case studies overly detailed and slow going. But the studies also feature warm portraits of individual Africans affected by the continent’s looting machines. Looting machines can work, Burgis explains, only when they are “plugged into international markets for oil and minerals. For that, Africa’s despots need allies in the resource industry” (p.107). Major Western international corporations still play a significant role in Africa, continuing a presence that often dates back to the colonial period. There is also no shortage of middlemen working to put African rulers and states together with international buyers, including several colorful characters portrayed here. Today’s middlemen often have a relationship to China and Chinese enterprises, now the major source of competition for Western corporations across the continent. Burgis’ insights into how Chinese connections abet the resource curse in Africa are among his most valuable contributions to our understanding of 21st century Africa. China has reshaped Africa’s economy through cheap loans to fund infrastructure building in resource dependent states, to be built by Chinese companies and repaid in oil or minerals — “infrastructure without interference,” as Burgis puts it, a “genuinely new bargain” (p.133). China builds roads, ports and refineries “on a scale scarcely countenanced by the European colonizers or the cold warriors. 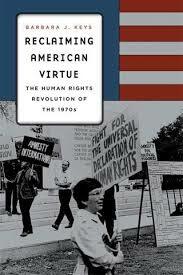 In exchange it [has] sought not allegiance to a creed so much as access to oil, minerals, and markets” (p.133-34). Burgis reveals numerous instances where Chinese firms receive natural resources, whether minerals or petroleum, for far less than the fair market price, often with kickbacks to individual local leaders. Swapping infrastructure and cheap credit for natural resources permits China to buy its way into “established Western companies that have long profited from the continent’s oil and minerals” (p.143). Burgis begins with a case study of oil rich Angola, to which he returns frequently throughout the book. Africa’s third largest economy, after Nigeria and South Africa, Angola is also the continent’s second largest exporter of oil after Nigeria. Following independence from Portugal in 1975, the country was shattered by Cold War proxy wars between factions sponsored by the Soviet Union and the United States. When the wars ended, political and economic power devolved to the Futungo, a collection of Angola’s most powerful families, which embarked on the “privatization of power,” using Sonangol, Angola’s sate-owned oil company. An Angolan expert termed Sonangol a “shadow government controlled and manipulated by the [Angolan] presidency” (p.11). Sonangol awarded itself stakes in oil ventures operated by foreign companies, using the revenues to “push its tentacles into every corner of the domestic economy: property, health care, banking, aviation” (p.11), even a professional football team. Burgis uncovered in Angola a pattern that repeats itself in other African resource-dependent states, in which owners of front companies, concealed behind layers of corporate secrecy, are the “very officials who influence or control the granting of rights to oil and mining prospects and who are seeking to turn that influence into a share of the profits” (p.15). In a deal between Sonagol and a Texas-based oil and exploration company, Cobalt International Energy, Sonangol insisted upon including an unknown local company as junior partner, Nazaki Oil and Gáz, ostensibly to help Angolans gain a foothold in an industry that provides almost all the country’s export revenue but accounts for barely one per cent of its jobs. By its own account, Cobalt went ahead with the deal “without knowing the true identify of its partner, a company with no track record in the industry and registered to an address on a Luanda backstreet that [Burgis] found impossible to locate when [he] went looking for it in 2012” (p.17). Burgis’ own investigation revealed that three of Angola’s most powerful men held concealed stakes in Nazaki, including Sonagol’s CEO and the head of the president’s security detail. Nazaki’s involvement, an Angolan anti-corruption activist found, revealed a system of plunder in which the “spoils of power in Angola are shared by the few, while the many remain poor” (p.16). An audit of Angola’s national accounts conducted by the International Monetary Fund in 2011 estimated that between 2007 and 2010, $32 billion in Sonangol’s oil revenues should have gone to the state treasury but instead had “gone missing” (p.12), most of which could be traced to Sonangol’s off-the-books spending. Nigeria, the continent’s most populous state, is also its largest oil producer and perhaps its most corrupt, although there are plenty of candidates for that distinction. Nigeria has been “hallowed out by corruption that has fattened a ruling class of stupendous wealth while most of the rest lack the means to fill their stomachs, treat their ailments, or educate their children” (p.63), Burgis contends. He uses Nigeria to illustrate “Dutch Disease,” a term which The Economist coined in 1977 to describe the after effects in the northern Netherlands when Royal Dutch Shell and Exxon discovered Europe’s largest national gas field. A gas bonanza followed, but people outside the energy industry began losing their jobs and other sectors of the economy slumped. Although the Netherlands had strong institutions that enabled it to withstand Dutch Disease, throughout Africa the disease has been a “pandemic,” with symptoms that “include poverty and oppression” (p.70). Dutch Disease “enters a country through its currency,” Burgis explains. The dollars that pay for petroleum, minerals, ores or gems “push up the value of the local currency. Imports become cheaper relative to locally made products, undercutting homegrown enterprises. Arable land lies fallow as local farmers find that imported fare has displaced their produce” (p.70). Dutch disease stymies the possibility of industrialization within the country. As oil and minerals leave, their value accrues elsewhere and a cycle of “economic addiction” sets in: opportunity becomes “confined to the resource business, but only for the few . . . Instead of broad economies with an industrial base to provide mass employment, poverty breeds and the resource sector becomes an enclave of plenty for those who control it” (p.70). Northern Nigeria’s once thriving textile industry has now all but disappeared, creating new demand for imported clothes and fabrics. The omnipresence of Chinese goods at public markets testifies to Nigeria’s “near-total failure to develop a strong manufacturing sector of its own” (p.72). Today, an immense network of political patronage sustains Nigeria’s petro-kleptocracy. That network propelled a once-obscure geologist, Goodluck Jonathan, to the presidency. Jonathan became governor of his home state of Baylsea, then vice-president under President Umaru Yar’Adua. After Yar’Adua died in office in 2010, Jonathan acceded to the presidency. When he sought the People’s Democratic Party’s nomination for president in his own right in 2011, party leaders beat back a challenger with $7000 payments to a sufficient number of the party’s 3,400 delegates to assure Jonathan’s nomination. $7000 represents roughly five times the average Nigerian’s annual income, Burgis points out. Jonathan served as president from 2011 to 2015 when, in a campaign where state corruption was a major issue, he became the first Nigerian president to be voted out of office. On Jonathan’s watch, “jaw dropping” quantities (p.205) of approximately $60 billion in annual Nigerian oil revenue were unaccounted for each year. Meanwhile, the visibility of the Islamic terrorist group Boko Haram increased, including its kidnapping of nearly 300 school girls. For Boko Haram, the corruption of Nigeria’s ruling class and the lack of economic opportunities in the country serve as “recruiting sergeants” (p.79). Oil has “sickened Nigeria’s heart” (p.71), Burgis plaintively concludes, turning a country of immense potential into a “sorry mess” (p.75). Whereas the Angolan and Nigerian economies turn around oil, a mind-boggling array of mineral resources may be found in the Democratic Republic of Congo, DRC. Its untapped deposits of raw minerals are estimated to be worth in excess of $24 trillion. The DRC has 70% of the world’s coltan, a third of its cobalt, more than 30% of its diamond reserves, and a tenth of its copper. Coltan is critical to the manufacture of a wide variety of electronics products, such as mobile phones and laptop computers. Cobalt, a by-product of copper, is used to make the ultra strong alloys that are integral to turbines and jet engines. Such richesse in Burgis’ view gives Congo the dubious distinction of being the world’s richest resource country with the planet’s poorest people, “significantly worse off than other destitute Africans” (p.30). 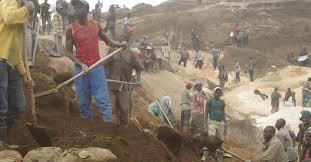 Civil wars over control of Congo’s minerals continue to this day. Congo’s current president, Joseph Kabila, is the son of Laurent Kabila, who was installed as president in 1997 with assistance from Tutsi génocidaires in a spill over from neighboring Rwanda’s ethnic wars. After a bodyguard shot his father in 2001, the younger Kabila became president in the midst of Congo’s civil wars. Burgis documents how middleman Dan Gertler, an Israeli national whose grandfather was a founder of Israel’s diamond exchange, played a key role in securing Kabila’s hold on power. In exchange for a monopoly contract to all diamonds mined in the Congo, Gertler provided Kabila with $20 million to fund his defense in its civil wars. When international pressure prompted the cancellation of his monopoly diamond contract, Gertler turned to Congo’s cooper and cobalt production, helping build a “tangled corporate web through which companies linked to him have made sensational profits through sell-offs of some of Congo’s most valuable mining assets” (p.49). Gertler set up what Burgis terms a series of “fiendishly complicated” transactions, involving “multiple interlinked sales conducted through offshore vehicles registered in tax havens where all but the most basic company information is secret” (p.50). Most commonly, a cooper or cobalt mine owned by the Congolese state or rights to a virgin deposit is sold, “sometimes in complete secrecy, to a company controlled by or linked to Gertler’s offshore network for a price far below what it is worth” (p.50). Then all or part of that asset is sold at a profit to foreign mining companies, among them some of the biggest groups on the London Stock Exchange. Even by the mining industry’s bewildering standards, Burgis contends, the structure of Gertler’s Congo deals is “labyrinthine” (p.50). In one case, the Congolese state sold rights to a “juicy copper prospect” (p.51) for $15 million to a private company, which immediately sold the same rights for $75 million – a $60 million loss for the state and a $60 million profit for Gertler. Former UN General Secretary Kofi Anan’s Africa Progress Panel estimated that the Congolese state lost $1.36 billion between 2000 and 2012 from this and related deals. Yet, Burgis cautions, “[s]o porous is Congo’s treasury that there is no guarantee that, had they ended up there, these revenues would have been spent on schools and hospitals and other worthwhile endeavors; indeed, government income from resource rent has a tendency to add to misrule, absolving rulers of the need to convince electorates to pay taxes” (p.52-53). In the absence in Congo of “anything resembling a functioning state,” Burgis concludes woefully, an “ever-shifting array of armed groups continues to profit from lawlessness, burrowing for minerals and preying on a population that. . . is condemned to suffer in the midst of plenty” (p.34). Overshadowing Gertler as a middleman and dealmaker throughout Burgis’ case studies is the ubiquitous Chinese national Sam Pa, a mysterious man whose work is associated with the Queensway Group. Queensway, a shadowy organization based in Hong Kong, is a loose confederation of groups, most prominent among the infrastructure building organization China International Fund or CIF. Seemingly independent of the Chinese government, CIF is closely linked to major Chinese construction firms. Across Africa, Pa, Queensway and CIF offered “pariah governments” a “ready-made technique for turning their countries’ natural resources into cash when few others are prepared to do business with them” (p.146-47). After Guinea’s ruling junta had ruthlessly stamped out an opposition political rally and faced “financial asphyxiation through the [international] sanctions that followed the massacre,” Pa and CIF threw a “lifeline” to the junta by funding $7 billion in mining, energy and infrastructure projects (p.119). Pa and CIF supported coups in Madagascar and Niger with multi-million dollar loans, and may have paid as much as $100 million to Robert Mugabe’s notoriously brutal security forces in Zimbabwe in exchange for diamond mining rights. Pa and CIF also maintained extensive links to Angola’s Futungo and Sonangol. As Burgis’ story ends, Pa mysteriously disappeared, apparently abducted at a Beijing hotel by communist party operatives, with the future of Queensway and CIF appearing uncertain. Like many exposés, Burgis’ book is longer on highlighting a problem than on providing solutions. But kleptocracy has been the subject of increasing international attention, with measures available to counter some of its manifestations. The United States has used the Foreign Corrupt Practices Act (FCPA) to prosecute some forms of kleptocracy and siphoning of natural resources. This statute makes it a crime for a company with connections to the United States to pay or offer money or anything else of value to foreign officials to win business. The Texas firm Cobalt International Energy, which contracted with Sonangol in Angola, was investigated by US authorities under the FCPA. Money laundering prosecutions and asset forfeiture procedures also provide potential tools to mitigate some of the effects of kleptocracy. The United Nations and the World Bank support the “Stolen Assets Recovery Initaitive” (StAR), an international network to facilitate recovery of stolen assets and the laundering of the proceeds generated by Africa’s looting machines. The United States government has also launched its own Kleptocracy Asset Recovery Initiative to support recovery of assets within the United States that are the result of illegal conduct overseas. Of course, many of the deals that Burgis describes, while siphoning a country’s resources, are nonetheless legal under that country’s laws. Further, international donors, including the World Bank and my former office at the US Department of Justice, provide anti-corruption assistance to individual countries to create or strengthen internal anti-corruption institutions and build capacity to prosecute and adjudicate corruption cases. To be effective, such assistance requires “political will,” the support of the host country, a quality likely to be lacking in the cases Burgis treats. 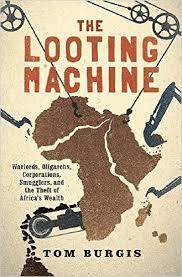 Burgis reminds readers in his conclusion that those who fuel Africa’s looting machines – warlords, oligarchs, corporations and smugglers — all “profit from the natural wealth whose curse sickens the lives of hundreds of millions of Africans” (p.244). More than a searing indictment of African leaders and their cohorts, Burgis’ work is also a heartfelt plea on behalf of average African citizens, the victims of the continent’s resource curse.